This is a compilation from the recent news from China, Singapore and the United Kingdom (UK), where the definition of "URINE TEST" or "URINARY TEST" can be defined and applied differently from the proposed new regulations to maintain bathroom cleanliness and reduce the cases of drink driving and to the findings of the new method to recharge the mobile battery by using the urine. Users of China's rumbustious weibo social networks poured scorn on the measures, raising the prospect of hordes of toilet inspectors being deployed to inspect performance. The measures have also provoked more considered debate, with one user arguing: "It's better to have no rule than a rule that cannot be implemented." "The law should maintain the most basic restraint about the people's private life," wrote Shu Li, a legal worker. Many nightclubs have employed high-tech urinals to assist men in their aim, but one club in Singapore sports urinals that can prevent patrons from harm. The club Zouk has installed urine analyzers in the men's room which detect alcohol content in the bloodstream and recommend a car service if they've had a few too many. The system also detects the valet tickets with RFID chips in the customers' pockets and signals the valets exactly who may be too drunk to drive. Of the 573 drivers the analyzers checked over the course of two weeks, 342 opted for the car service. 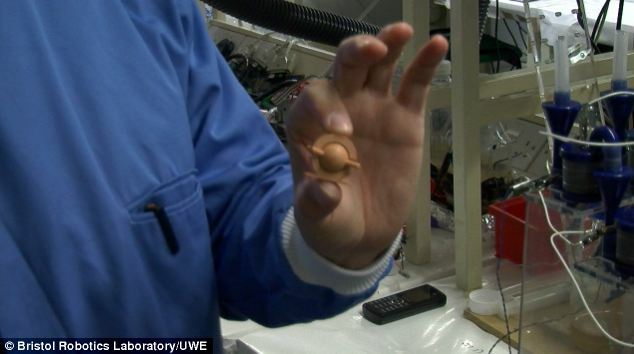 Mobile phone owners could soon be able to give their batteries a boost with their own urine. 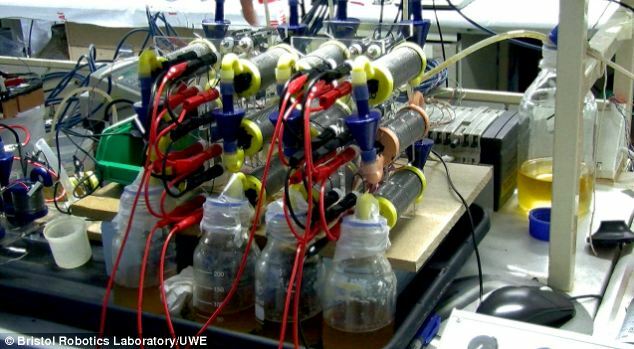 British scientists at the Bristol Robotics Laboratory have developed a way of using urine as a power source to generate electricity and claim to have created the world's first microbial fuel cells (MFC) powered mobile phone. While many people might turn their noses up at the energy source, the researchers said that it is the 'ultimate waste product' and does not rely on the erratic nature of the wind or the sun. The electricity output of MFCs is relatively small and the researchers are currently only been able to store and accumulate low levels of energy into capacitors for short charge and discharge cycles. The scientists shared their breakthrough in the Royal Society of Chemistry Journal of Physical Chemistry Chemical Physics. 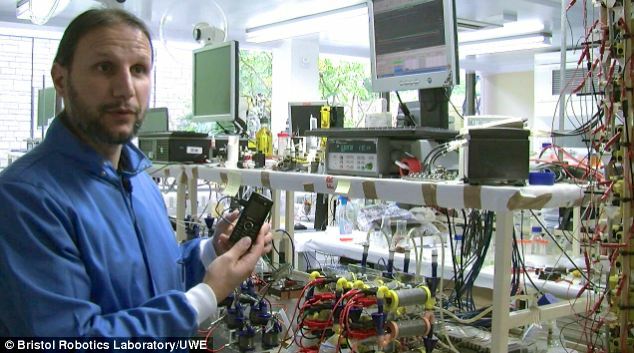 Dr Ioannis Ieropoulos, an expert at harnessing power from unusual sources using microbial fuel cells at the University of West England, Bristol, which was also involved in the research, said the urine-powered phone is a 'world first'. 'No-one has harnessed power from urine so it’s an exciting discovery. 'Using the ultimate waste product as a source of power to produce electricity is about as eco as it gets. 'One product that we can be sure of an unending supply is our own urine. 'By harnessing this power as urine passes through a cascade of MFCs, we have managed to charge a Samsung mobile phone. He believes that the reliability of the fuel source is a big selling point. 'The beauty of this fuel source is that we are not relying on the erratic nature of the wind or the sun; we are actually re-using waste to create energy. However, he said that making a long call on a mobile phone is far more power hungry. 'Making a call on a mobile phone takes up the most energy but we will get to the place where we can charge a battery for longer periods. Microbial fuel cells are energy converters that turn organic matter directly into electricity by utilising the metabolism of live micro-organisms. However they claim that this is the first time that scientists have been able to directly charge the battery of a device such as a mobile phone and it should be seen as a significant breakthrough. They believe that their research, which was funded by the Engineering and Physical Sciences Research Council, the Gates Foundation and the Technology Strategy Board, has the potential to be installed in bathrooms. The scientists think that the technology could be installed into domestic bathrooms int he future to harness the urine and produce sufficient electricity to power showers and lighting...or at least electric shavers.